Kiwi Movers are well established throughout West London. We know the area of Fulham particularly well, having successfully moved businesses and families in and around the area over the past few years. We understand the challenges of completing a move in one of West London’s busier areas. We use our local knowledge to guarantee you a safe, stress free move. The key to a hassle free removal is to pick a team that you trust. But we don’t expect you to take us at our word. That’s why we’re proud to refer all customers to our Which? Trusted Trader status. This hard-earned endorsement recognises our commitment to quality service and good value. And if that’s not enough, why not check out our reviews on Google? Full relocation service; let us handle the whole lot for a hassle free removal day, from planning to unpacking. Crate hire; get extra peace of mind with our crate hire service. Our professional standard removal crates offer extra protection for those all-important valuables. Hoist hire; Fulham is a beautiful place packed with characterful buildings, but they certainly didn’t think about removals when they designed these. That’s why we offer a hoist hire service to get larger items safely out of properties with narrow stair cases. 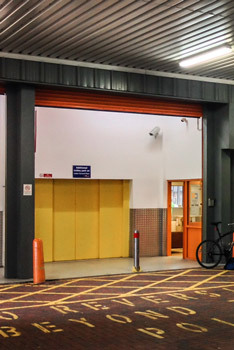 Storage; if you’re down-sizing, renovating the new place or doing a bit of traveling, our storage facilities offer flexibility at a very competitive rate. Shipping; full insurance available and project managed by an experienced logistics team, you can trust Kiwi Movers to get your stuff safely to its destination at the lowest available price. Packing and unpacking service; people often underestimate the importance of packing properly. That’s why we offer a professional packing and unpacking service, removing the hassle and stress of keeping your stuff safe and secure in transit. End-of-tenancy cleaning; we offer an unrivalled end-of-tenancy cleaning service. Simply present our invoice to your landlord at the end of your tenancy to remove any deposit problems before they arise. Rubbish removals; who wants to clear out a load of rubbish and mess after moving house? Well, us actually. And we’ll dispose of it safely and ethically. Fulham is outside of the London congestion charge zone, but it’s a busy place. Our pre-move survey lets us plan the most effective and efficient move on the day. Traffic congestion is a challenge in any area of London, but Fulham can be particularly busy during summer due to the appeal of the riverside bars and restaurants. We use our local experience to plan around traffic peaks and get your stuff safely to its new home with minimal fuss.